The South rises again… for Democrats? Students from the Washington Center, George Mason University in Virginia, and Purdue University in West Lafayette, Indiana, participated by broadband feed in a distance learning class. 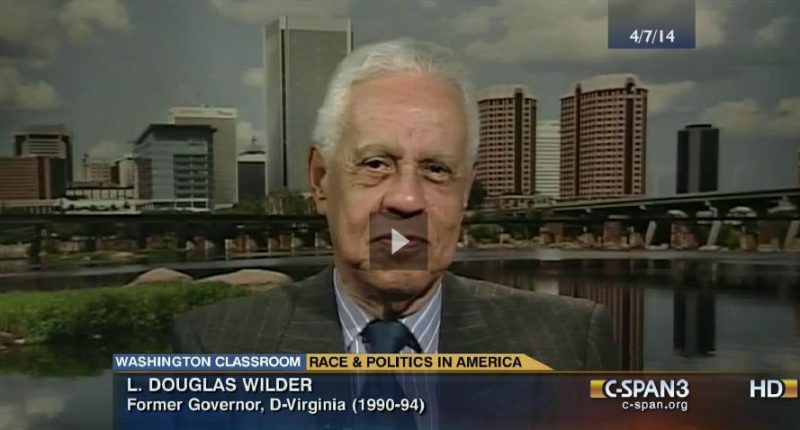 Former Virginia Governor Doug Wilder (D) talked by remote video from Richmond about the relationship between race and politics in America. Video clips were also shown. This course was a joint educational partnership between C-SPAN, the Washington Center, George Mason University, and Purdue University. The semester focused on “The Presidency, Congress, and Media,” examining all facets of politics in the TV and digital age, taking a look at the issues and events shaping the agenda for the next Congress and next round of elections, as well as the historical process of public policy making. Additionally, the class analyzes the changing role of media, especially social media, in shaping public opinion.